Clara Krivoy is Head of the firm’s Digital Commerce practice and Head of the firm’s Ibero-America Private Client practice. Clara also provides legal advice on a pro bono basis to support philanthropic initiatives related to human rights on a global basis. Representative clients include DAV, Blockhaus AG, Blockcloud, LEDU, Shift, Particl, Databits, GoldCoin, Humaniq, Cardano, NEO, Ontology, Kratos, BnkToTheFuture, Merculet, Maecenas ART Token, AION Network, AELF, Data Foundation, Patientory Stiftung, Mithril, indaHash, Grammatik, Qwark, IOST, SingularDTV, Spatium, Coin2Fly, Bitlumens, AppCoins, BCGChain, Byteball, Content Neutrality Network, Credits, Dala, Distributed Credit Chain, Haven Protocol, Internet of People, Proxeus, Centrality, MediBloc, PolicyPal, Sentinel Protocol, Shivom, Tapatalk, TTC Protocol, Airthereum, NeonExchange, Particl, Heymate, Rate3, Ultrain and Contents Protocol. As part of the Ibero-America Private Client practice, Clara provides legal advice and support to individuals, families, family offices and their holdings having interests in Spain, Portugal and Latin America, as they maintain or look to establish a US, multi-jurisdictional or global presence. 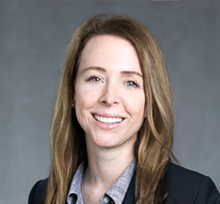 Clara has represented domestic and foreign clients on corporate and securities matters, debt and equity offerings, mergers and acquisitions, restructurings, bank lending, joint ventures, startups structuring, financing, global tax planning, and regulatory compliance, as well as cross-border litigation and arbitration matters. Represented Deutsche Bank, S.A.E. (DB SAE) in connection with the US$80 million structured financing of the construction of four hospitals in Panamá. This financing involved the transfer and assignment by the borrower to DB SAE of certain accounts receivable, which were subsequently transferred by DB SAE to Deutsche Bank AG, London. Represented numerous account holders, counterparties, and other creditors in the Lehman Brothers bankruptcy cases and related SIPA proceedings. Represented account holders with approximately $500 million of exposure in the Refco, Inc. et al. Chapter 11 cases. Represented Bear Stearns International and Banco Bansud S.A., each as underwriter of a series of tax revenue secured notes issued by the Argentine province of Tucumán under a global medium term note program. The total principal amount was $400 million. Represented Companhia Paranense de Energia (COPEL), a major state-owned Brazilian electric utility, in connection with a consent solicitation of holders of certain bonds issued pursuant to Rule 144A in order to seek certain amendments to the bonds necessary to permit the privatization of the company. Represented Empresa Nacional de Electricidad S.A. (EndesaChile) and Enersis, two NYSE-listed Chilean utility companies, in connection with a $3.5 billion “club” loan with eight separate international lenders and the concurrent restructuring and refinancing of substantially all of their consolidated bank debt. Represented AES Empresa Eléctrica de El Salvador, Ltda. de C.V. in connection with its acquisition of an indirect majority ownership interest in Reliant Energy’s distribution assets in El Salvador, backed by a $100 million non-recourse loan from Dresdner. Represented Fortuna, a Panamanian hydroelectric generator company in a $170 million Rule 144A/Regulation S secured bond offering. Represented Mavesa, S.A., a New York Stock Exchange listed Venezuelan food products company, in connection with the $510 million tender offer for all of the outstanding shares and American Depositary Shares of Mavesa by Empresas Polar, a Venezuelan food and beverage conglomerate. This transaction is the first takeover of a U.S.-listed Venezuelan company. Represented Southern Cross Latin America Private Equity Fund IV, L.P., a private equity fund formed in 2010 with approximately US$1.68 billion in capital commitments and which targets investments in Latin America as well as its predecessor funds, in connection with various acquisitions and dispositions. Represented IRSA Inversiones y Representaciones S.A., an Argentine real estate company (in which George Soros is a principal shareholder) in connection with three concurrent US registered offerings: (i) the initial public offering of ADRs and listing on the New York Stock Exchange; (ii) the exchange offer of existing Rule 144A ADRs for registered ADRs; and (iii) a rights offering to holders of the Rule 144A ADRs. We also represented IRSA in connection with a Rule 144A/Regulation S convertible bond offering (PARCKS), the first by a Latin American issuer in the international capital markets, a US$250 million registered rights offering conducted concurrently in Argentina to holders of common stock and in the United States to holders of ADRs, and in connection with the adoption of a “fair price” anti-takeover provision to its estatutos and subsequent proxy solicitation. Represented Barclays Capital Inc. as dealer-manager in connection with an offer by Transportadora de Gas del Norte S.A. to exchange approximately US$340 million in Rule 144A/Regulation S notes for a combination of cash and new Rule 144A/Regulation S par notes. Represented Wasserstein Perella Emerging Markets as arranger in a US$120 million financing in which the Argentine Province of Santiago del Estero issued bonds secured by tax revenues. Represented Banco Bozano Simonsen Ltd. in connection with a Eurocommercial paper program for Petroflex, a petrochemical company in Brazil and in connection with the first single issue of a BOVESPA-linked note program. Represented Brazil Realty S.A. Empreendimentos e Participações, a Brazilian real estate company (in which George Soros was a principal shareholder) in connection with (i) a US$100 million Rule 144A/Regulation S ADR offering and (ii) a US$70 million Rule 144A/Regulation S Eurobond offering. Represented Companhia Paranense de Energia-COPEL, a major state-owned Brazilian electric utility, in connection with a consent solicitation of holders of certain bonds issued pursuant to Rule 144A in order to seek certain amendments to the bonds necessary to permit the privatization of the company. Represented Empresa Nacional de Electricidad S.A. (ENDESA-Chile), a NYSE-listed Chilean energy company in numerous syndicated bank financings and the restructuring of various credit facilities and other debt obligations. Represented Enersis S.A. and Empresa Nacional de Electricidad S.A., NYSE-listed Chilean utility companies in connection with a US$3.5 billion “club” loan with eight separate international lenders and the concurrent restructuring and refinancing of substantially all of their consolidated bank debt. Represented Interconexión Eléctrica S.A. E.S.P., in connection with the refinancing of US$1.1 billion in Rule 144A and bonds locally issued by Cintra Chile S.A., to finance 5 toll-road projects in Chile. Represented Prospecta Minera Ltda. and Citicorp International Finance Corp. in connection with the sale of 99.3% of Sociedad Punta de Lobos S.A. to K+S Aktiengesellschaft for approximately US$500 million. Represented Sociedad Punta de Lobos, Latin America’s largest salt producer, and its US subsidiary in general corporate and financing matters. Represented Chivor S.A., a subsidiary of The AES Corporation, in connection with the renegotiation of its US$335 million debt facility secured by a large hydroelectric plant in Colombia under a prepackaged US Chapter 11 bankruptcy plan. Represented Empresa de Energía de Bogotá S.A. E.S.P. in connection with the US$1.46 billion bridge financing of its acquisition of Empresa Colombiana de Gas S.A. E.S.P. Represented Grupo Bancolombia in connection with ongoing cross-border derivative transactions. Represented Biper S.A. de C.V. in connection with its annual reports on Form 20-F; represented Biper in changing its trading symbol on Nasdaq; and advised Grupo Elektra in connection with a proposed reorganization of certain of its subsidiaries to take advantage of potential tax benefits. Represented F.V.I. Fondo de Valores Inmobiliarios S.A.C.A., a Venezuelan real estate company in connection with a Rule 144A/Regulation S ADR offering and a Level I ADR facility. Represented CEDEL Mercado de Capital C.A., a Venezuelan investment banking firm, in connection with its private equity investment for the formation of a pan-regional private bulk mail company.